There is a rising star taking the world by storm. The talented Pan-African singer, songwriter and record producer known to his extensive and expanding fan base as WurlD, has been selected as the Apple Music New Artist Spotlight for the month of April. A multicultural musician going through a rapid evolution of sound and general appeal, WurlD is the King of cool and the Boss of beats – especially when it comes to his particular genre of music – “Electronic Soul with a fusion of African Rhythm and Sounds”. E! 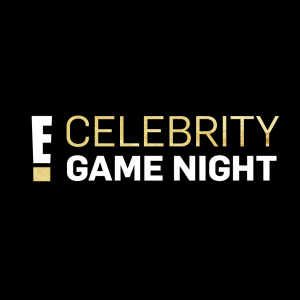 Entertainment Television – NBCUniversal International Networks’ global, multi-platform brand dedicated to all things pop culture – today announced the commission of Celebrity Game Night, for its latest local production in Africa. The series, comprised of ten one-hour episodes, will premiere late 2019 on E! (DStv channel 124). 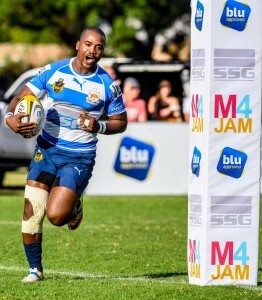 Note to Editors: A rights free image of Newrak Rustenburg Impala centre McDonald Duma scoring a try in his team’s semi-final victory over Northam Platinum Rhinos is attached. Credit: Sydney Seshibedi, Gallo Images. New flavours that are sure to excite chocoholics this season include florals, like lavender, healthy spices such as ginger, turmeric and chai, coconut milk and tahini – a sauce made from toasting and grounding sesame seeds. There is also a big move among chocolatiers to include superfoods, such as spirulina, goji berries, reishi mushrooms, and our humble Rooibos in this delicious treat. 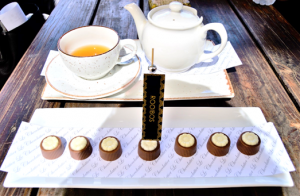 Adele du Toit, spokesperson for the SA Rooibos Council says it’s a real coup that the USD103-billion chocolate industry has taken notice of Rooibos, which is a proudly South African product. Springbok Sevens forward Zain Davids will undergo shoulder surgery on Wednesday and has been ruled out of the last three tournaments of the HSBC World Rugby Sevens Series. The 22-year-old Davids injured his shoulder in training in Hong Kong last week and had to return to South Africa before the start of the Cathay Pacific/HSBC Hong Kong Sevens, where the Blitzboks finished in seventh position. The injury comes at a bad time for the Blitzboks as their two worst results of the season – in Las Vegas and Hong Kong – happened in Davids’ absence. But there was good news on the injury front too, with confirmation that regular captain, Philip Snyman, the experienced Cecil Afrika and young guns JC Pretorius and Mfundo Ndhlovu are all available for selection for the final two tournaments in the series, in London (25-26 May) and Paris (1-2 June). All of them are in the final stages of rehabilitation at the team’s home base in Stellenbosch. 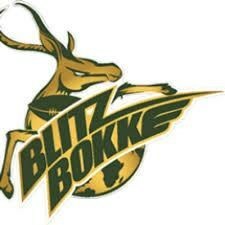 The Blitzboks are in a tight race with England to retain the fourth spot on the World Series log – which will give them automatic entry to the 2020 Olympic Games in Japan – and that challenge will continue in Singapore this weekend. Dams that supply Cape Town have declined by 1,2% over the past week to 49,1% (2018: 21,5%) of storage capacity. Cape Town’s collective water consumption for the past week increased by 11 million litres to 609 million litres per day of collective consumption. Water users are encouraged to stay the course and use water wisely. Compared with historic data for the same time of the year, dam levels were at 21,5% of storage capacity in 2018 and at 25,6% of storage capacity in 2017. Triple Pulitzer Prize winner, Edward Albee’s acclaimed and provocative play, The Goat, or Who is Sylvia?, comes to the Baxter Golden Arrow Studio, from 24 April to 18 May, at 7.30pm nightly, with Saturday matinees at 3pm. Fleur du Cap Best New Director award-winner Mdu Kweyama (Reza de Wet’s Missing, Woza Albert! ), takes the reigns as director, featuring a stellar cast headlined by Lionel Newton and Jennifer Steyn, with Paul Savage and Sihle Mnqwazana. Newton (The Miser, The Well Being) tackles the complex role of middle-aged architect, Martin, with Steyn (The Inconvenience of Wings, A Doll’s House), in the role of stay-at-home wife, Stevie. Sihle Mnqwazana (The Fall, Black Dog/Inj’ emnyama), plays the gay son, Billy, with Paul Savage (Kaapse Stories, Kat and the Kings) as Martin’s best friend, Ross. The powerful four-hander won the 2002 Tony Award for Best Play, the Drama Desk Award for Outstanding Play and was also a finalist for the 2003 Pulitzer Prize for Drama.